İnsan Hak ve Hürriyetleri ve İnsani Yardım Vakfı, translated into English as the Foundation for Human Rights and Freedoms and Humanitarian Relief, was created in 1992 when a group of individuals came together to provide humanitarian relief to those affected by the war in Bosnia. The group redirected its efforts toward the war in Chechnya after Bosnia and was officially founded and registered as an NGO in Istanbul in 1995. The İHH board of trustees has 21 members, including İHH President Bulent Yıldırım, İHH Deputy President Hüseyin Oruçand, and charter member Mahmut Savaş. İHH also has a supervisory “Board of Inspection” with three members who are also on the Board of Trustees: Ali Yandır, M. Hanefi Kutluoğlu, and Yusuf Şahin. The organization is set up on typical NGO lines, with paid staff in charge of a wide range of activities and volunteers filling in the rest. It is estimated that İHH has an annual income of over $100 million a year, entirely from donations. This number is expected to increase in the aftermath of the flotilla incident. Israel banned the group in July 2008, along with 35 other organizations, “since they are part of Hamas’s fundraising network.” Israel has long maintained that İHH is an extremist group with ties to Hamas, but only placed it on its terrorist list after the Gaza flotilla incident during which Israeli commandos entered a ship cyarrying aid material and İHH affiliated personnel. Germany banned the organization’s Frankfurt affiliate due to its relationship with Hamas on July 12, 2010. But it has received no such ban in either the United States or Turkey. İHH represents itself as a humanitarian organization that acts “with the motive of brotherhood,” aiming to help and protect all regardless of “religion, language, race, and sect.” İHH also states that it wishes to remain “unaffiliated with politics” while voicing the “problems of the wronged.” Its rhetoric is centered on notions of justice, good, and brotherhood. It belongs to the Turkey Voluntary Agencies Foundation, an association of Turkish NGOs, and has a special consultative membership to the U.N. Economic and Social Council, which coordinates the work of 14 UN agencies dealing with economic and social work. The organization has religious underpinnings and the higher leadership tends to be more verbal about their religious beliefs in public settings. Religion is not directly mentioned in its vision or mission statements, but İHH is an openly Muslim organization and affiliated with the Union of NGOs of the Islamic World, Organization of the Islamic Conference, and the Humanitarian Forum, which works with Muslim communities around the world. İHH’s projects also cover non-Muslim communities—Haiti disaster relief, for example—but the majority of its projects center on Muslim communities or Islam-related activities such as building mosques or sponsoring Ramadan celebrations. İHH took a humanitarian convoy by land from Turkey and Cyprus to Gaza in January 2010 with the intent to cross at the Egyptian border. The convoy’s attempt to reach Gaza resulted in clashes between Palestinians in Gaza and Egyptian border guards. The worst of these clashes resulted in one death and nearly 40 injuries. İHH issued a press release recounting some of the events, but did not appear to be directly involved. The group was eventually granted 24 hours to enter Gaza, unload the aid, and leave, following private phone discussions between Turkey’s Prime Minister Recep Tayyip Erdogan and Egyptian officials. 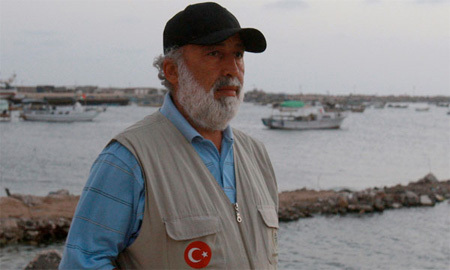 Murat Mercan, a prominent member of the Justice and Development Party, or AKP, was in Egypt with the İHH during the January flotilla incident and spoke with the press when the humanitarian aid was not allowed through. Turkish Prime Minister Recep Tayyip Erdogan, also from the AKP, personally undertook negotiations with the Egyptian government at Mercan’s urging when the aid convoy was not allowed through. Mercan was also scheduled to be aboard the Mavi Marmara but cancelled at the last minute. The New York Times reported that the Turkish Foreign Ministry convinced him and several other parliamentarians not to go. Ali Yandir, who is both on the board of trustees and the supervisory board, is a manager at the Istanbul City Municipality Transportation Corporation. This corporation controls Istanbul Fast Ferries, which sold the Mavi Marmara to the charity for about $1.8 million. Yandir was an AKP candidate for the mayor’s office in Istanbul’s Esenler District. Three other members of the charity’s board—Zeyid Aslan, Ahmet Faruk Unsal, and Mehmet Emin Sen—are also affiliated with the AKP. Aslan is currently an AKP member of parliament, Unsal served in the parliament from 2002 to 2007, and Sen is the former AKP mayor of Mihalgazi in Anatolia. There is general agreement in the United States and most other countries that the organization has nonhumanitarian political motivations, but there is disagreement as to why. Some media reports argue that the AKP’s connection to the group has encouraged it to become politically confrontational, with some pointing to Turkish Prime Minister Erdogan. Others argue that the rise of middle- and upper-class religious families that front their Muslim identity in the academic, business, and political world has changed the atmosphere in which İHH operates, making overtly political actions more acceptable. Israel arrested İHH’s founder İzzet Şahin on April 27, 2010 when he was passing through a checkpoint in Bethlehem. No reason was given for his arrest. He was later released on May 18, 2010. İHH has repeatedly denounced Israel’s actions, but it has also admitted that the raid on the flotilla ships brought it international attention, for which they have expressed a sort of strange gratitude to Israeli officials. Israel alleges that the group’s support to Gaza bolsters Hamas indirectly and that it has brought in supplies specifically intended to support Hamas and its activities. Israel has also charged İHH with connections to Al Qaeda. The Israeli government fears that the group is attempting to smuggle weapons into Gaza for Hamas and is a front for radical Islamist groups. Israel added İHH to its terrorist watch list on June 16, 2010. State Department spokesman P. J. Crowley has stated that there is some cause for concern since the İHH has met with senior Hamas officials in Turkey, Syria, and Gaza over the past several years, but it has not been designated as a foreign terrorist organization by the United States. Some media articles argue that the group has become a radical Islamist organization, rather than a Muslim humanitarian aid group that also has political inclinations. A few individuals have also been particularly outspoken about İHH. Jean-Louis Bruguière is a former French counterterrorism magistrate. He argues that İHH members planned to fight in conflicts involving Muslims around the world and that the organization was involved in weapons’ trafficking and supporting Al Qaeda activities. Bruguière has been mentioned in Newsweek and The Washington Post as the first person to publicly draw attention to the possibility of İHH being a terrorist organization or a front for illegal activities. Bruguière also claims to have been involved in a 1998 raid on İHH offices in Turkey that turned up weapons. İHH admits that there was a raid but denies that weapons were found, and the matter was never publicly discussed by the Turkish forces involved in the raid. Evan Kohlmann, a terrorism expert and author, cites Bruguière’s testimony in a study published by the Danish Institute for International Studies and has written additional articles arguing that the İHH is a terrorist organization. Both Bruguière and Kohlmann have come out since the flotilla incident to further argue that İHH has ties to terrorist organizations and should be treated as such. İHH President Bulent Yıldırım gave a speech on board Mavi Marmara, which is believed to be recorded on May 30 by one of the passengers and was later released by the Israeli government. Yıldırım speaks in Turkish while the two other men, believed to be a religious cleric and an Egyptian member of parliament, provide translation and make additional comments in Arabic. Yıldırım’s speech uses religious imagery and language, and he says that if Israeli commandos come, those on board will “throw them into the sea.” Yıldırım appears to be supporting violent resistance to potential Israeli military action, but he could also be expressing political conviction rather than a call to violence. The phrase “throw them down” is utilized in Turkish political rhetoric to undermine or bring down an opposing political party, person, or point of view. Yıldırım may have taken creative liberty in this context and added “into the sea” given the group was on a ship. Some of the listeners may have taken this speech as a call to violence. Others, particularly native Turkish-speakers, could have understood it as a purely political speech intended to motivate those on board. Yıldırım does express political views and anger about the blockade, implies that their actions are morally and religiously necessary, and tries to provoke an emotional reaction from the audience. Poor video quality makes it difficult to tell if portions of the speech have been edited or altered in any way. But if verified, it lends support to the argument that Yıldırım is religiously and politically motivated in his actions, as well as in contact with Hamas. It is unclear whether or not Yıldırım was representing İHH in an official capacity, but there has been no attempt by İHH to distance itself from, or discredit the video. There appears to be a general belief among scholars and analysts, based on interviews conducted by Melis Tusiray, that İHH is a humanitarian aid organization with strong religious underpinnings and political motivations among its leadership. It is highly likely that there is contact between some İHH’s members and Hamas, as well as other militant organizations in the Middle East. But İHH is not itself believed to be a terrorist organization that practices violent extremism. All interviewees agreed that İHH had not been on anyone’s radar prior to the Gaza flotilla incident and that the organization has since used their international publicity in questionable ways to push their agenda. A professor of the sociology of politics at a well-known Istanbul university stated that İHH “is a terrorist organization because its actions do not comply with the standards of a democracy.” But it should be held up to the standards of democratic society that value discussion, voting, and other forms of legal participation over aggression and illegal activities even if it does not commit actual acts of terror. He argued that İHH’s attempt to break the blockade and the allegations of violence toward the Israeli commandos are acts of aggression that are not acceptable within a democratic society. Two political analysts from well-known policy-oriented think tanks in Turkey and Europe also point out that individuals within Turkish political parties are affiliated with İHH even though the Turkish government has not funded or supported the group in any way. Murat Mercan, chairman of the Turkish Parliament’s Commission on Foreign Affairs, was named as one such member of the AKP. According to media reports, five AK party members were a part of the İHH aid convoy to Egypt that was let through only after private discussions between the Turkish and Egyptian heads of state. The Istanbul university professor brought up the suggestion that the AKP may have only shown support for İHH because of its popular appeal in Turkey. İHH showed that a large portion of the Turkish public applauds individuals who stand up to Israel, and the group is immensely popular among the demographics that vote for the AKP. So even if the AKP wanted to condemn the group, which they may not, the party could not take the risk of losing widespread political support. He noted, however, that anyone who is against the AKP because of its Islamist tendencies firmly believes that the İHH is an Islamist terrorist organization that is protected by the party. Two interviewees highlighted the fact that İHH has the potential to be a terrorist organization or support terrorist organizations in terms of size, finances, and internal networks. Yet none of the interviewees had heard evidence supporting this position. The director of a well-known German foundation in Turkey commented that many İHH actions are questionable even though there is no indication that they are a terrorist organization or are supporting a terrorist organization. For instance, the group’s close ties to members in the Saadat Party, a minority political party that is openly Islamist, is one indicator that the İHH is likely supportive of more extreme, religiously motivated actions. Melis Tusiray is an intern with National Security and International Policy and Michael Werz is a Senior Fellow at American Progress.